Panchali Baishya was this typical teenager eating out almost every day. Then one day like a bolt out of the blue, it hit her that she had gotten seriously out of shape. We started with the small step of cutting down on eating out, limiting it to once a week. This single step snowballed into a series of other steps — working out, sleeping on time, eating on time. She never bothered stepping on the scale but only on stepping up her efforts. 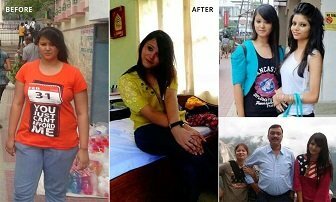 A journey that started from 75 kgs to her current 59kgs over 2 years. It’s a journey from eating out all the time to once a week, not working out to pushing over 250lbs on the leg press, from huffing and puffing on the treadmill to running 2 kms in 20 mins. A journey from void to being full of life, “no time” to making time, oversized tees to well fitted tops, tons of weight lost but that’s not the point, the point is she found herself! Thanks Panchali, you made me proud!!! I like to move it, move it… Do you? I like to move it, move it…Do you? But what if you end up being an Active Couch Potato? 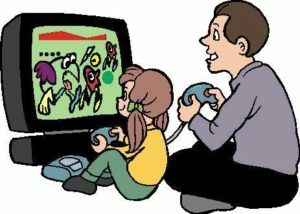 Well, an Active Couch Potato is the one who exercises for 30 mins or more on most days of the week, but who then sits all day watching TV or working at a desk or playing video games or simply ordering take-out and delivery, reading, shopping, banking, eating a meal at a table or navigating the stock market. Actually, the deal is much bigger than you can imagine. Fascinating new research is revealing that sitting for long hours alters our physiology in ways that prevents exercise from burning fat. The act of too much sitting blocks the normal impacts of exercise and makes our bodies exercise- resistant. Simply put, you may comply with your workout routine, but if you are sitting for long periods of time, your metabolic health is still compromised. Exercising followed by too much sitting through the day may do little to reduce risk of heart diseases, diabetes, weight gain, high cholesterol etc. This is a new and challenging area for exercise science and population-health research. These findings are also based on a study of “non-exercise activity thermogenesis” or NEAT, which is the amount of calories you burn doing everything except sleeping, eating and exercise. Low NEAT is linked to, among other things, weight gain, poor metabolic health and cancer. Our bodies did not evolve to sit in chairs all day. Current research findings of ACSM (American College of Sports Medicine) indicate that moving more during the day, in addition to getting 150mins/week of exercise, is necessary to reduce one’s risk of diseases and to lose weight. 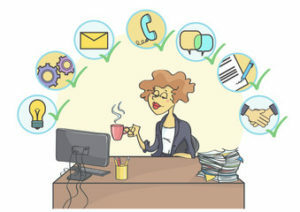 – Make your own “Get Moving” action plan to incorporate movements that effortlessly fit into your work life and daily living. So get moving, and stay moving! Here’s to a fitter and healthier 2017… Happy New Year! “Kyun lena hai difficult option?” SRK, a.k.a Dr. Jag, asks Alia Bhat (Kaira) in the movie. He mentions that, often, the answer is that we unknowingly like to punish ourselves, because we believe that until we go through some suffering, there can be no rewards. 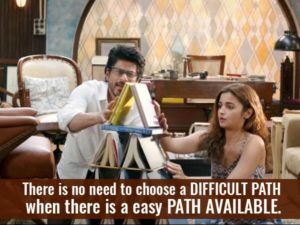 After watching Dear Zindagi, I came out of the theatre with a feeling that Mr. Khan has nailed it yet again (oh, yes! I am a SRK fan). After all, don’t we do this to ourselves on an everyday basis? You visit a white-coat dietitian and she gives you a list of ‘DO NOT EAT’ foods which is invariably longer than the list of foods you are allowed to eat. After much struggle, you finally make it to your gym only to hear your big-bicep trainer say, “No pain, no gain.” The words we associate ‘weight loss’ with are deprivation/ suffering/ punishment. You eat your raw kale salad but in your mind, you are romancing with the hot gulab jamun soaked in its juices. And to make things worse, you end up feeling guilty just thinking about it, let alone eating it. Like Dr. Jag in the movie, the point I am trying to make here is simple: Take the easy option. Because losing weight is not about choosing the difficult one! To further elaborate my point, every time that you deny yourself of your favourite foods, you are deprived of Vitamin J (Joy). Now the short-term effect of Vitamin J deficiency is overeating and its long-term effect is weight gain! 1. You eat more food than you would otherwise, in an attempt to get the necessary level of satisfaction. Poha/ paratha/ thalipeeth for breakfast or oats: what is more satisfying? Every time you try a tasteless and ‘guilt-free’ alternative to your favourite foods, you actually end up eating more than you would otherwise. 2. You deprive yourself of Vitamin J at one meal, only to overcompensate for it at the next. Have you ever noticed yourself reaching for that late night chocolate treat after a ‘no carbs’ dinner of soup and salad/ chicken breast? 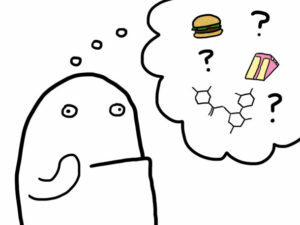 When your dinner fails to hit the spot, you end up craving for more carbs and calories later. 3. You make it easier to ‘fall off’ and harder to ‘get back with your diet. You are more likely to ‘fall off’ from a diet that is not inclusive of the foods that you like. The end result is that you see yourself yo-yoing from having lost some weight only to gain back double of the weight lost. 1. Let go of the idea of ‘on-plan’ foods and ‘off-plan’ foods. There is no ‘diet’ food or ‘anti-diet’ food. Include foods that you like and that you have grown up eating as part of your diet. That way you are more likely to not fall off the wagon. The more sustainable it gets; the more weight you lose. That too in a sensible and reasonable manner. 2. Eat mindfully and savour the flavour. Don’t let shame, guilt or fear take the joy out of your food. Allow yourself to fully experience every flavour and texture. When you do this, you won’t need as much to feel satisfied from the meal. 3. Let your Vitamin J come from the right place. Choose your homemade delicacy over a packaged food product. A homemade laddoo over a cookie not only gives you the much needed Vitamin J in abundance, it is rich in all other nutrients too. If all this sounds well and good, I hope you will approach ‘weight loss’ as something that supports your life rather than becomes your life, because life is all about joy and love. Love you, Zindagi!